As the new decade dawned in Northeast Arkansas, two new crops emerged as potential income drivers for farmers in the agriculture sector that dominates the region. Peanuts, once a staple crop in the Delta, were reintroduced, as was miscanthus, a specialty grass. 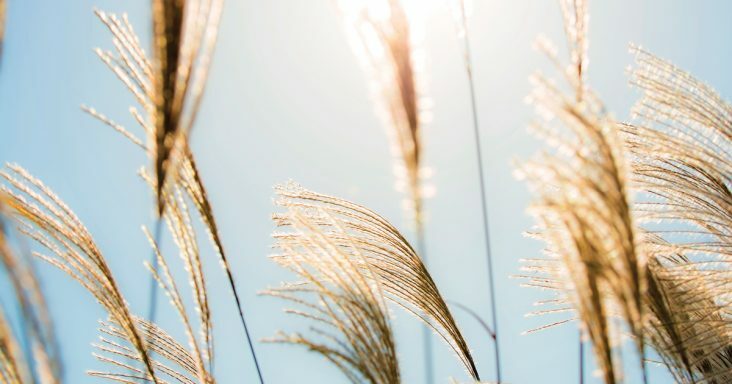 The Asian grass, sometimes called elephant grass, had been used in biofuel production in Europe, and it seemed like a natural fit in Northeast Arkansas, according to Greene County extension agent David Freeze. A collaboration among Arkansas State University, MFA Oil/Biomass and the U.S. Department of Agriculture’s Biomass Crop Assistance Program was formed, and there were plans to harvest thousands of acres of miscanthus and store and even process it into biofuel in Northeast Arkansas. Those plans made earlier this decade didn’t bear fruit, Freeze said. “It has fizzled out. 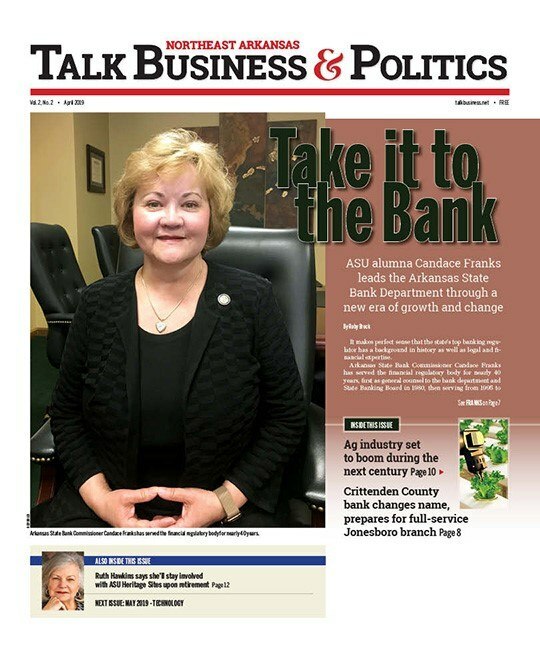 … I really like the idea of renewable fuels, but miscanthus hasn’t worked out around here,” Freeze said. Freeze’s counterpart in Craighead County, Branon Thiesse, told Talk Business & Politics he’s not aware of any farmers in the county growing the grass. There were approximately 1,000 acres or more grown during the crop’s peak, but now there are bales of the grass that have been sitting in fields for years, he said. Attempts by Talk Business & Politics to contact MFA Oil/Biomass officials were unsuccessful. Numerous phone calls were not returned. When the idea was broached with local farmers, it was met with enthusiasm. Miscanthus is a species of Asian grass that grows in warm weather and has been used in landscaping as an ornamental grass. It has also been used for several years in Europe as a fuel source, according to ASU officials, and for livestock feed. Miscanthus is a sterile hybrid, non-invasive plant that grows where it’s planted. It is planted from a root rather than a pellet or seed, and it will grow without having to be replanted each year. It requires special equipment to plant and harvest, according to ASU. The grass has low input costs and can be grown in fields that won’t support traditional row crops in the region such as soybeans, corn, cotton or rice, Freeze said. Oddly shaped fields on Crowley’s Ridge in places with less nutrients than fields adjacent to the Ridge were ideal for miscanthus, he said. Farmers had hoped that miscanthus could make those fields profitable. Steve Green, an associate professor of soil and water conservation at ASU, said miscanthus can grow 10 to 12 feet tall, and farmers could make a profit per acre because production costs of growing miscanthus are nominal. The low-maintenance grass is easy to grow and has a long lifespan. MFA Oil/Biomass in collaboration with its partners planted more than 7,000 acres in Northeast Arkansas, making the Arkansas project the largest of the nine USDA BCAP energy grass projects in the nation, by 2013, according to ASU. It was estimated about 30,000 acres would be needed as “feedstock” for a proposed liquid fuel plant to be built in the area that MFA hoped to build. Former Arkansas Sen. Tim Wooldridge was hired as the MFA Oil Biomass Northeast Arkansas project manager. Wooldridge said at the time the company’s goal was to grow more than 50,000 acres of miscanthus. A search was conducted to find a site for a conversion facility to turn the miscanthus harvest into biofuel. By 2015, Wooldridge had reportedly left the company for a different job, and federal funding for similar projects dried up, Freeze said. A warehouse in the area was used for a time to store miscanthus bales, but no processing center was ever built, Freeze added. Miscanthus is costly to transport, and it wasn’t profitable for farmers, he said. Biofuel production is a significant energy sector in North America. About 81 billion liters of biofuel are grown each year, according to biofuel.org. About half of that is grown in North America (40 billion), followed by South America (25 billion), Europe (10 billion), Australia/Asia (4 billion), and Africa (2 billion). In North America, corn and soybeans are the primary crops used in biofuel production. Thiesse said most of the corn grown in Arkansas is used for chicken feed or other purposes and he wasn’t sure how much, if any, was used to make biofuel. One of the main reasons farmers were eager to grow miscanthus was that it is a perennial, but that’s one of the biggest problems when farmers try to remove it, Thiesse said. It takes a combination of poisons and physical removal to remove miscanthus from a field, and can take up to two growing seasons to completely remove the grass from a field, Freeze said. Miscanthus can be flammable if conditions are dry, so if farmers aren’t growing it as a crop, it could pose a safety hazard. There has been research indicating miscanthus can perform better as a biofuel than other plants in use, but Freeze said he doesn’t know if it will make a comeback in the region. Finding renewable energy sources in the future will be vital, and Freeze said he hopes farmers will play a significant role. “I’m all for finding alternatives to fossil fuels,” he said.